Normally it happens every time when we bring big bag of onions to home. We won't use them daily and hence, most of them will be spoiled and become waste. This time also, leaves started coming out from the onions. What I did was I just planted those onions in the backyard. They grew up nicely and I was so happy to use those spring onions for cooking! 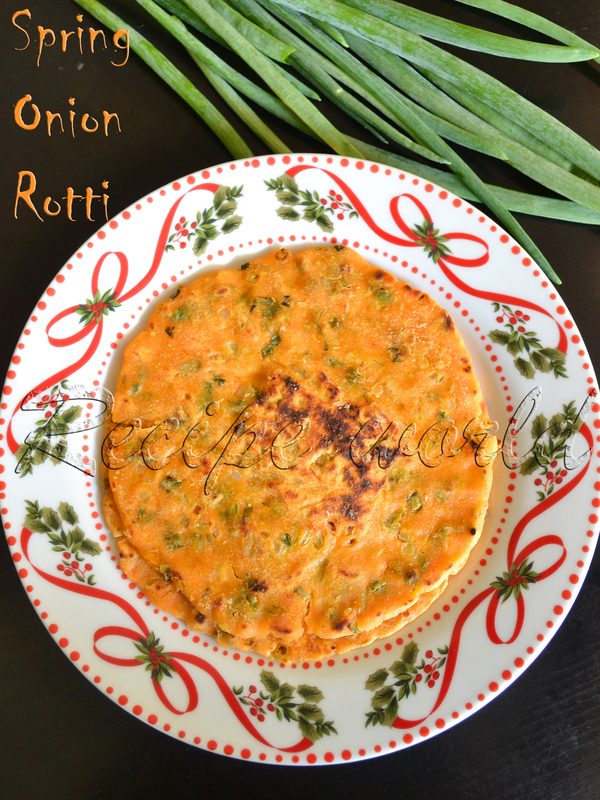 Spring Onion Rotti is my new experiment using these home grown spring onions. We usually prepare different varieties of roties with various vegetables. 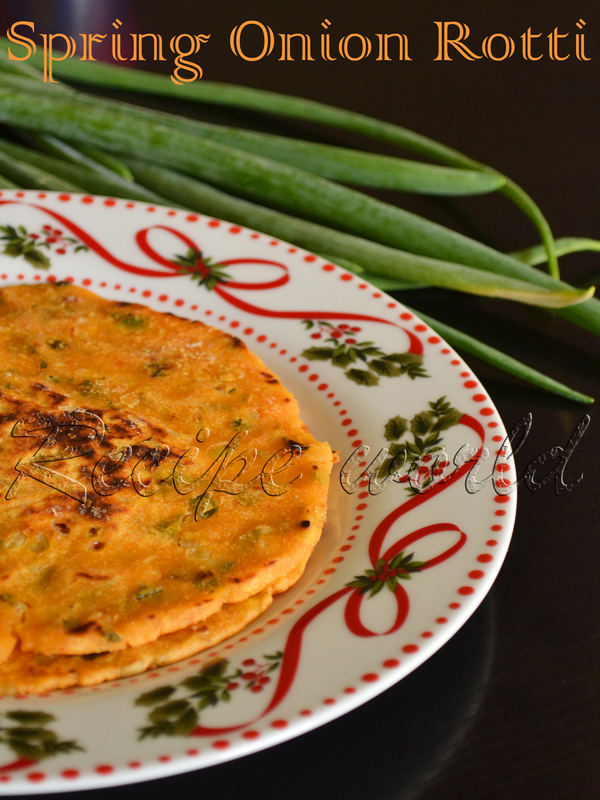 How about preparing Rotti with spring onion? I just tried it and rotti came out really well! 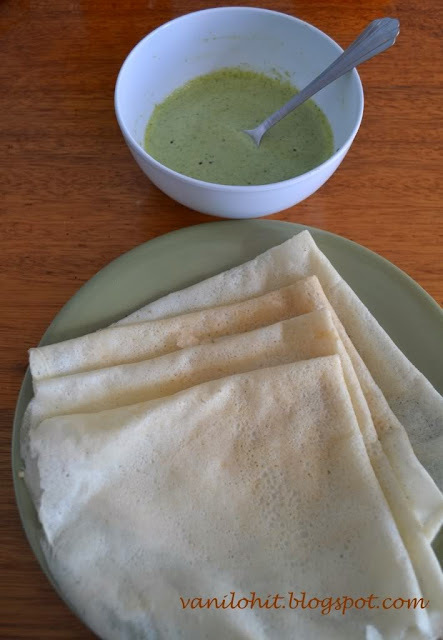 Since these leaves won't have much water content like most other vegetables, I have used some curd and little water in this recipe. 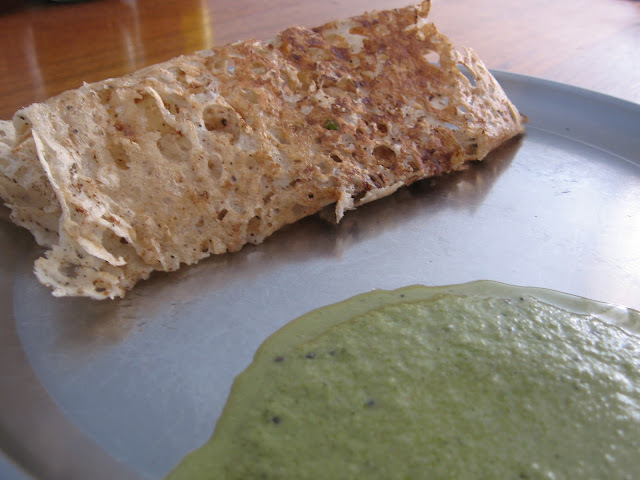 Below is the recipe of Spring Onion Rotti..hope you like it and give it a try! Chop the spring onion, green chillies (if using) and onions finely and and combine in a mixing bowl. Add salt and sugar to this mixture and mix it well. Keep it for 10 minutes and allow them to leave off the water content. Then, add the rice flour and mix it nicely. If not using green chillies, add the red chilli powder at this stage. Add the curd little by little and prepare a smooth, non sticky dough ball. Add some water (I added 1/4th cup), if needed. If you have time, leave the dough for 10 minutes before using. If in a hurry, it can be used instantly, no worries! Prepare big lemon size balls from the dough. Grease the plantain leaf or plastic sheet with a tea spoon of oil. Pat the ball into a thin circle using your fingers. 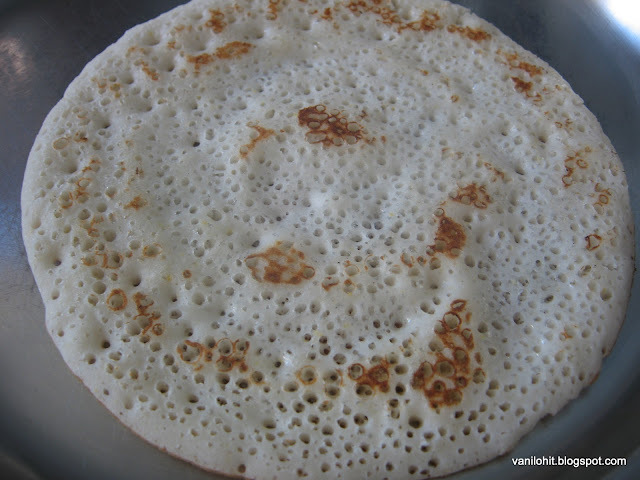 Take out the rotti carefully and cook it on the hot tawa on both the sides. 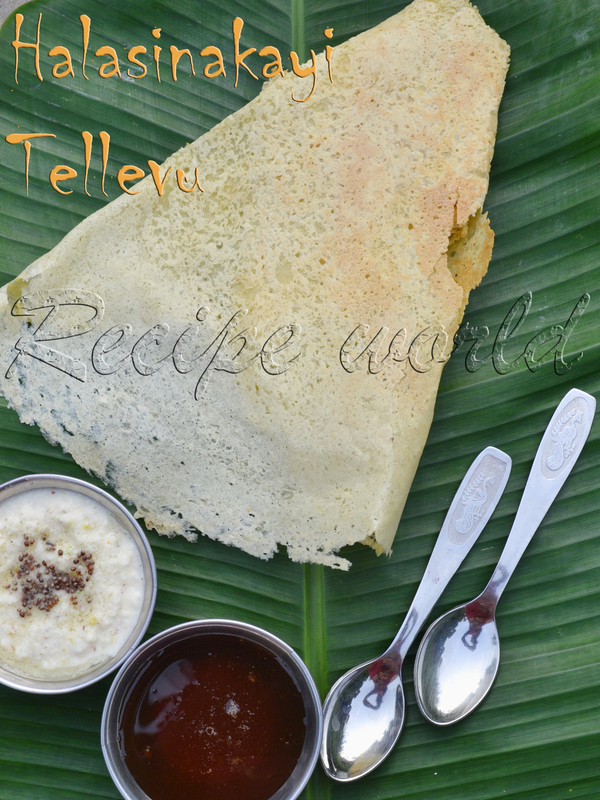 Add little oil or butter while roasting the rotti which makes it more tasty. 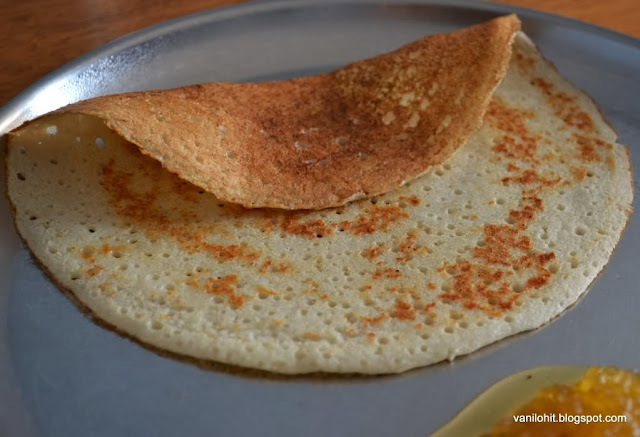 Serve the hot Rotti along with butter. 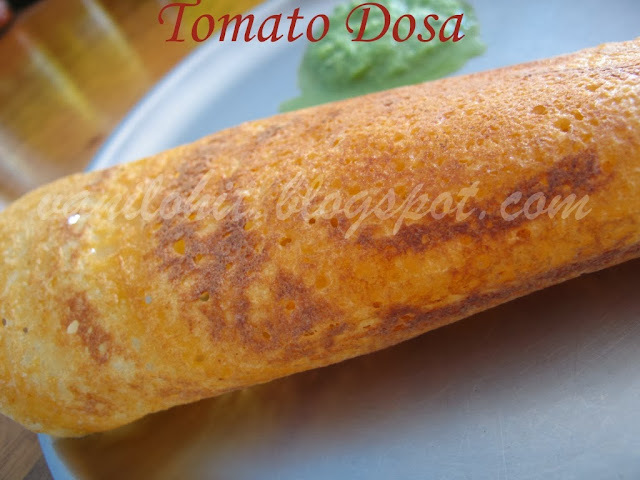 This Rotti tastes better when its hot. 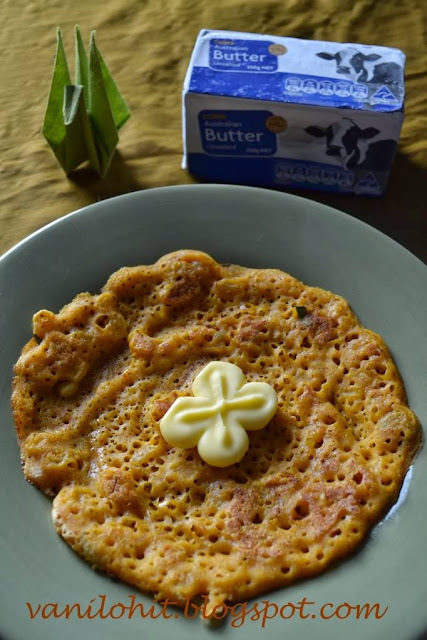 I have used sweet curd (regular ones) here. 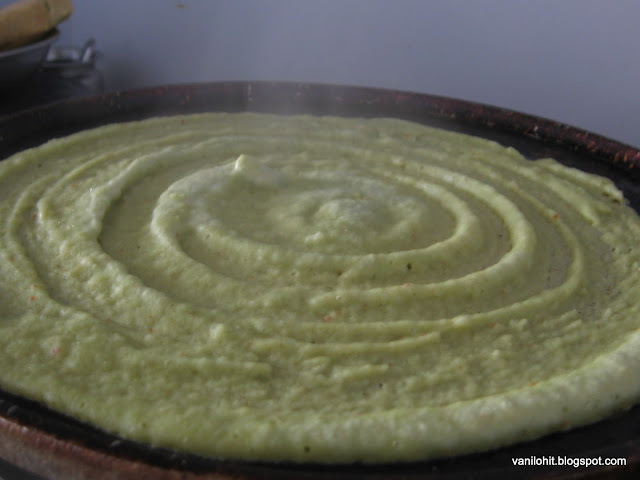 If the curd is sour in taste, use less curd and increase the quantity of water you are adding.